Great customer service is what makes Steel Plus much more than your average steel supplier. As well as stocking a wide selection of quality Australian-made metal products, we have friendly, experienced tradespeople on site who can provide comprehensive advice and perform any type of fabrication or repair job. 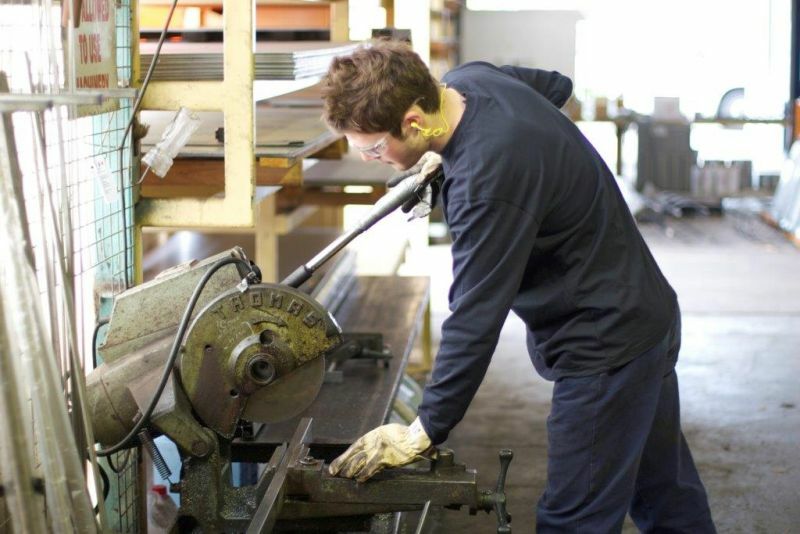 With a large range of machines at our disposal, including guillotines, brakepress, bandsaw, welding equipment and more, we can do it all for you—from plan through to finished product. As Adelaide’s only one stop steel shop, we save you from endless searching for the right materials and expertise. Plus, no job is too big or too small, eliminating waste and saving you money. Even the most complex requirements can be processed by our fast and effective fabrication service, with the product delivered direct to your door. We cater to builders, landscapers, specialist trades, the general public, and anyone else who needs quality metal solutions. Whether you’re a handyperson who needs minor repairs, or a tradesperson who needs assistance with complex structural steelwork, Steel Plus can get the job done reliably, efficiently, and at the most competitive price. Offering great service, quality craftsmanship, and industry experience going all the way back to 1896, Steel Plus is Adelaide’s best one stop shop for metal products.